The revolution against climate change, can be a delicious one. 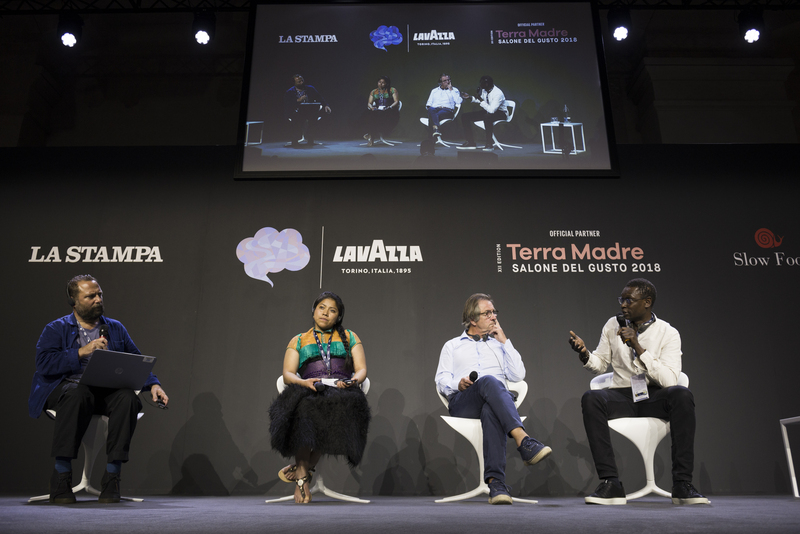 This was the resounding message of last night’s conference at the Nuvola Lavazza in Turin, as part of Terra Madre Salone del Gusto 2018. One radio producer and three exceptional chefs from very different backgrounds. 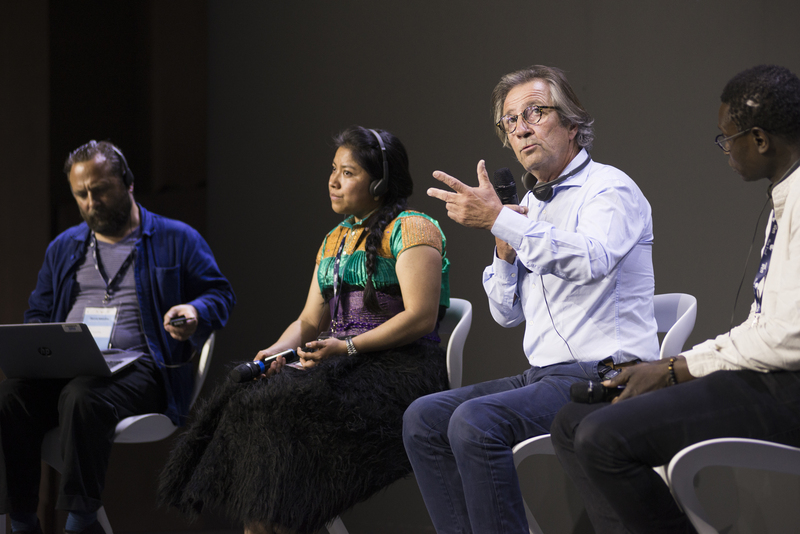 Dan Saladino from The Food Programme on BBC Radio 4 held court, while Pierre Thiam, Claudia Albertina Ruìz Santiz, and Olivier Roellinger answered his questions and shared their experiences. What does climate change look like to a chef, and what can chefs do to act against it. “In Chiapas, in Southern Mexico, where I live, the situation is complex.” Claudia Albertina Ruìz Santiz, an indigenous Tsotsil woman and chef, member of the Slow Food Chefs’ Alliance from San Cristóbal de Las Casas, spoke of her own environment and the destruction linked to climate change. “Many species of fish have become extinct, due to the rise of temperature and acidification of the water. Likewise we are seeing changes in the production of staple ingredients like maize and beans. The maize is no longer of the same quality as before, and bean production has dropped. Harvesting has changed because of the sowing seasons and the soil quality and preparation. This of course has a knock-on effect, which reflects in our plates, in the meals that we prepare and serve.” Claudia spoke of the importance of returning to traditional ingredients and recipes as a way of fighting against not only climate change, but obesity, which in Mexico is sky-high. Relying on local ingredients cuts down on emissions and pollution linked to transport, and supporting local producers and farmers improves local economies and awareness of global topics. 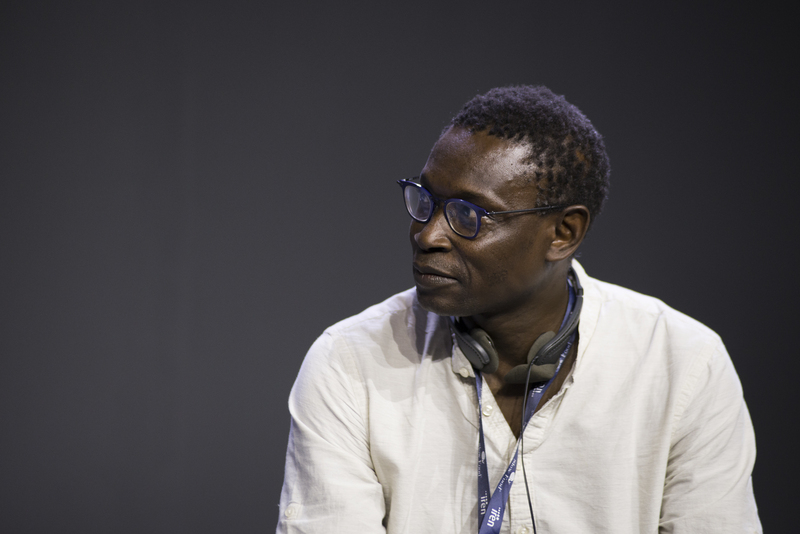 Pierre Thiam, a Senegalese chef working in New York, started with a sobering story of a young man he met, who quit working as a fisherman, unable to live from it, and instead began working as a people smuggler, despite the risks. Small scale fishermen were being left empty handed by over-zealous, intensive fishing, and extinction in the seas. “We need to buy directly from producers, we need to support small-scale fishing and farming.” The responsibility of chefs is to make people appreciate the importance of sustainable and conscious choices. More than just in their restaurants or spheres, chefs are opinion changers, and through their public platforms and the menus and dishes that they create, they can influence people’s decisions. Limiting meat consumption and favoring a more plant-friendly diet in a restaurant can change people’s outlook and promote a more climate-friendly diet. Pierre also spoke of the grain fonio, an ancient grain found in Senegal, which despite its many nutritional values and the ease with which it can be produced, has been neglected, even in Senegal. A hardy and resource frugal grain, the fonio is remarkably healthy and is known as ‘the lazy farmer’s crop’ due to the ease of its cultivation. For various reasons entwined with Senegal’s colonial past, fonio has been undervalued and underappreciated, while sub-par imported ingredients are instead promoted as Senegal’s culinary mainstay. Pierre is determined to change this: he is working on educating visitors to his restaurant about the grain and making the grain known around the world. When asked whether he feared that fonio would go the way of quinoa, pounced upon and exploited by big industry, and taking the power and control out of the hands of local farmers, Pierre was optimistic. “The first step is to protect the word of fonio” Pierre pointed at the protection of geographic denomination. “We want fonio to be grown in West Africa”, while the grain needs to be harvested by hand, meaning that it is not likely to tempt large agricultural corporations. 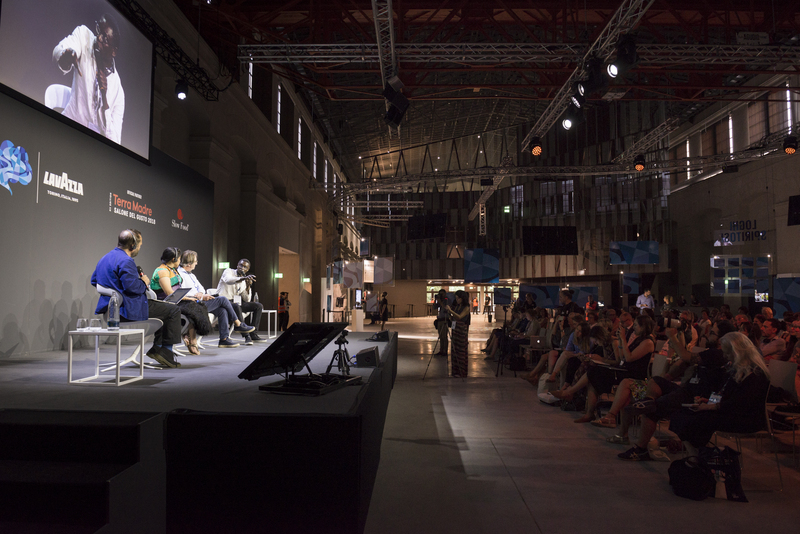 In the eyes of Olivier Roellinger, Michelin starred chef, and member of the Relais and Châteaux association, too many chefs lack interest in fighting climate change. That is not to say that they are necessarily careless, many choose organic food, or speak out against slavery, or the use of pesticides in food, but few focus on climate change. Although this is not an issue reserved to chefs, this rests a lot on the lack of information or communication of the impact of food and our food choices on the climate. Olivier spoke from his experience in France where discussions of action on climate change revolve around a number of issues like transport and heating, but never food. He echoed the importance that chefs play in forming opinion and changing attitudes to food. He fielded one of Dan Saladino’s questions on the value of outspoken celebrity chefs like Jamie Oliver, and praised his huge impact on changing the way that food is thought about in schools and public cantines. From the crowd, the question was posed of whether ecologically conscious and sustainable practices should be considered as factors in ranking restaurants. In responding, Olivier called for there to be more attention paid to these factors, as the excessive and decadent nature of high-level restaurants too often led to a grotesque waste of food: “you see dishes, highly-rated dishes, with a tiny cube of fish… what happened to the rest? We should be using the whole ingredient.” He was, however, optimistic about the future, pointing at the many restaurants now receiving accolades that are very conscious of waste and pollution, alongside the growth and spread of culinary cultures that traditionally use all parts of an animal or vegetable, and their impact on the mainstream.